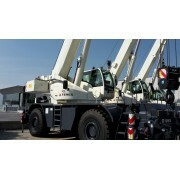 Rough Terrain Crane: TEREX QUADSTAR 1065 Year of manufacture: 2018 - new! Operating hours: 7 h. Temperature: - 20° / +45°C Max. 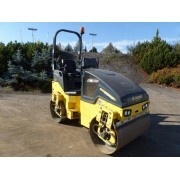 Lifting capacity: 65 t / bei Radius 3 m &nb.. Rough Terrain Crane: Terex RT 100 Year of manufacture: 2018 Operating hours: 20 h. Cold weather Kit: - 20° / +45°C Max. 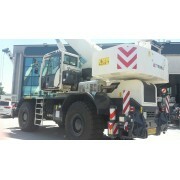 Lifting capacity: 90 t Radius 3 m Engine: Cummins QSB6.7 (194 kW / 260 PS) Drive: 4 x 4 Tyres.. 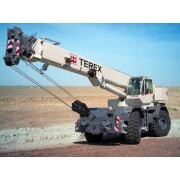 Rough Terrain Crane: TEREX RT 45 Year of manufacture: 2017 – new! Operating hours: 7 h. Weather kit : - 40° / +45°C Max. 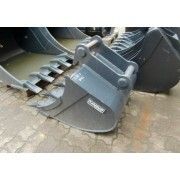 Lifting capacity: 45 t - bei Radius 3,0&nb.. Rough Terrain Crane: Terex Quadstar RT 1075L Year of manufacture:2018 Operating hours: 7 h. Cold weather Kit: - 40° / +45°C Max. 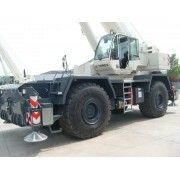 Capacity: 75 t / bei Radius 3 m Engine: Cummins QSB6.7 (164 kW / 222,98 PS) Euro3A / Tier-3 Drive: 4 x 4 x ..